… there are three things that remain: faith, hope, and love—yet love surpasses them all. So above all else, let love be the beautiful prize for which you run. Love is the basis for all relationships and women are, above everything else, relational. Deeply relational. Give us a minute and we’ll form a bond. It’s why we are driven in our desire to know God and to know Him intimately. It’s why we are the first to raise our hands to help others. We don’t just like to get together… we need to get together! Our desire to go beyond the surface of knowing others is what inspires us to be persistent servants, faithful friends, encouraging wives, miracle-working moms, and fearless followers of Jesus. The Women’s Ministry at Calvary Chapel Chattanooga bakes into every facet of what we do an intentional goal to create community and nurture our need for relationship. 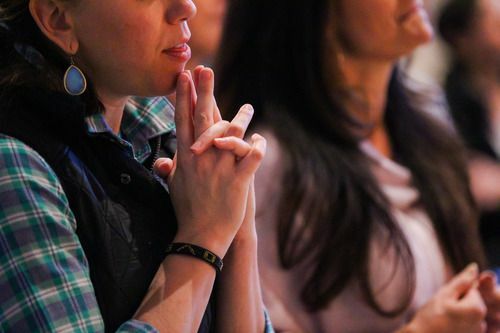 From our quarterly events to our community outreaches – and everything in between - we give women an opportunity to take the next step with Jesus, with one another, and with the world Jesus died to save. While our events will have all the frills of the feminine touch, don’t be fooled – we are busy about our Father’s business. We know how to have fun, but we also know how to do serious spiritual warfare for our families, our sisters in Christ, and our world. We know how to run hard for the beautiful prize of love! We can’t wait to get to know you and we know you’ll fit right in! How? … because you’re a woman! Want to sign up? Head to the calendar HERE.